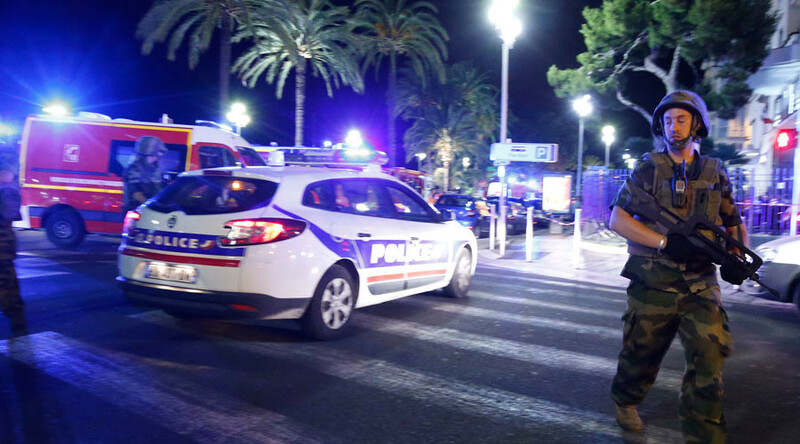 The terror attack in Nice has shocked the world, but rough figures reveal something even more appalling – far more people have been killed by terrorists in France under president Hollande in the last two years than in the previous 100. Between 1914 and 2014, some 150 people were killed in bombings, targeted assassinations, and plane hijackings, the deadliest of which occurred in 1961, when 28 people were killed in the bombing of a Strasbourg-Paris train carried out by a far-right paramilitary organization opposed to the independence of Algeria called Organisation de l’armee secrete (OAS). The Nice truck tragedy is the third terror attack in France in less than two years. The first was an attack on the satirical Charlie Hebdo magazine in January of 2015, which was followed by the massacre in central Paris in November of the same year. Altogether, the three terror attacks have claimed more than 230 lives. The attacks began on January 7, when two Islamist gunmen stormed the headquarters of the controversial satirical magazine Charlie Hebdo, killing twelve people and injuring twelve before escaping. Two days later, on January 9, the police tracked the gunmen to an industrial building in Dammartin-en-Goele, where they took one hostage. Another gunman also shot a police officer on January 8 and took more hostages the next day at a Jewish kosher market near the Porte de Vincennes. French elite counter-terrorist units GIGN, RAID, and BRI made simultaneous raids in Dammartin and at Porte de Vincennes, killing three attackers along with four hostages, who died in the Vincennes supermarket during the rescue operation. A total of twenty people were killed in the attacks, according to French authorities. On November 13, 2015, a series of synchronized terror attacks took place in Paris and Saint-Denis, a northern suburb of the capital. In the evening, three suicide bombers exploded their belts near the Stade de France in Saint-Denis, followed by separate suicide bomb attacks and mass shootings at cafes, restaurants, and a music venue in central Paris. The Islamic State (IS, formerly ISIS/ISIL) terror group claimed responsibility for the attack, saying it had been carried out in revenge for recent French airstrikes in Syria and Iraq. The attack took 130 lives, including 89 at the Bataclan theatre, where the terrorists took hostages, leading to a stand-off with police. Last night in the south of France, a lorry rammed into a festive crowd celebrating Bastille Day in Nice. The driver was able to drive two kilometers while mowing down pedestrians before being shot by police. According to eyewitness accounts, the lorry driver shouted “Allahu akbar!” before carrying out the attack. The death toll has shocked many around the world, as 80 people were killed and over 100 injured.